1/4" piecing foot without a blade guide - the edge of the foot is at 1/4" for your Singer Featherweight 221. 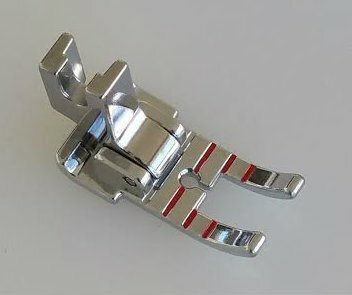 This foot attaches differently than the original presser foot. Make certain it is installed tightly on the machine, so it doesn't slip down.